In PIV, optical access can sometimes be quite challenging. 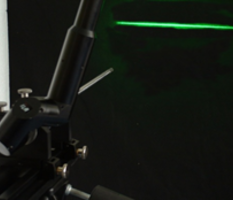 When having closed casings, a convenient way to bring the light sheet into your flow of interest can be endoscopic access. 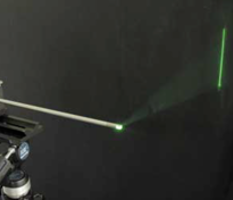 With a diameter of 12mm, a variable length up to 300mm and lenses for Nd:YAG laser up to 120mJ per pulse, our Endoscopic LSO might be just what you need. 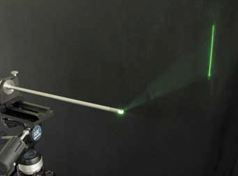 Despite the small diameter the endoscopic light sheet optics generates a light sheet with a thickness between 0.5 and 1 mm with fixed focal distance between 200 and 2000mm and a divergence angle of 26°. 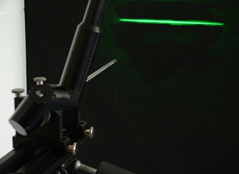 Furthermore, the small diameter of the endoscope's rod minimizes disturbance of the flow. Mountable directly in front to the laser or on a small rail with an adapter to our articulated mirror arm. 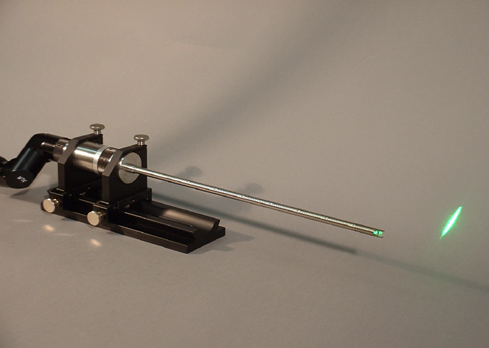 Delivered with a prism in front to make redirection angles up to 90° possible. Due to the prism the divergence angle is reduced to 16°. Available with enclosed rod, such that it can be used in liquids and/or pressurized fluids.